Your coloring skills are outstanding Erum !! Beautiful cards. Beautiful! I love your work always! Wow! Absolutely amazing work! Love the Needlework Motif- so pretty! 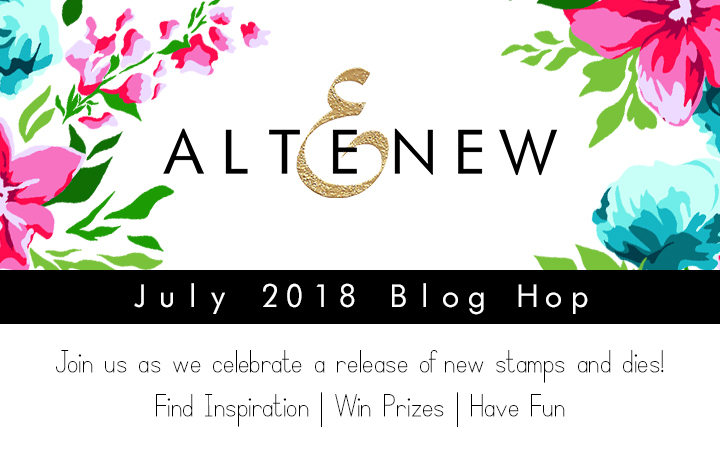 I'm loving the new altenew release and adore your work alot! WOW!! Love all your cards...especially that first one! Can't believe you got that rich color on your flower with pencils!! I definitely have to get my pencils out & start coloring with them again!! 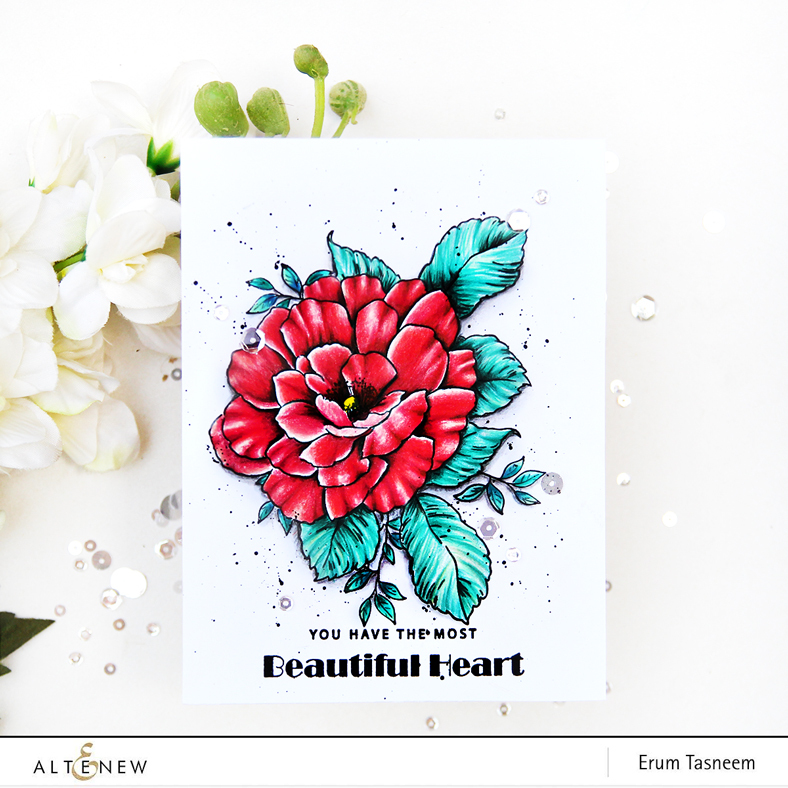 Erum, as always you blew my mind with your gorgeous designs, love the Beautiful Heart bloom and your coloring! Thanks for the inspiration and for all you share! These are so beautiful. Nothing like florals to lift a card!I love he cute little flowery alphabets.Will lift any card up. Such details Much WOW! !Thanks for Sharing! 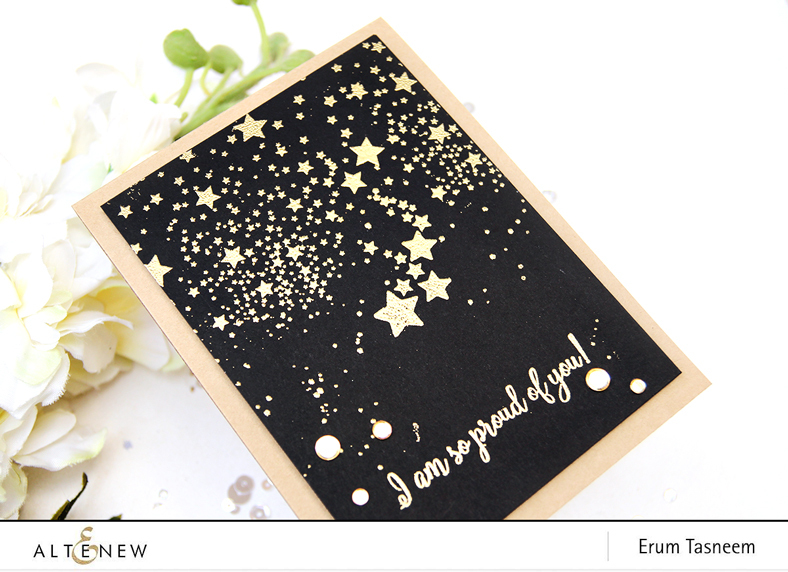 Erum, your cards always amaze me! I looove each one to bits! I adore the way you used the Leaf Border with that glittered layer, and the Needlework Motif card is so elegant and soft..Stunning work as always! Thanks so much for the inspiration! Such gorgeous cards! The white embossed needlework motif on kraft ... stunning!!! I love that set. All the cards are beautiful. Thanks for the wonderful ideas. These cards are so pretty! Love the first one and the last one best! 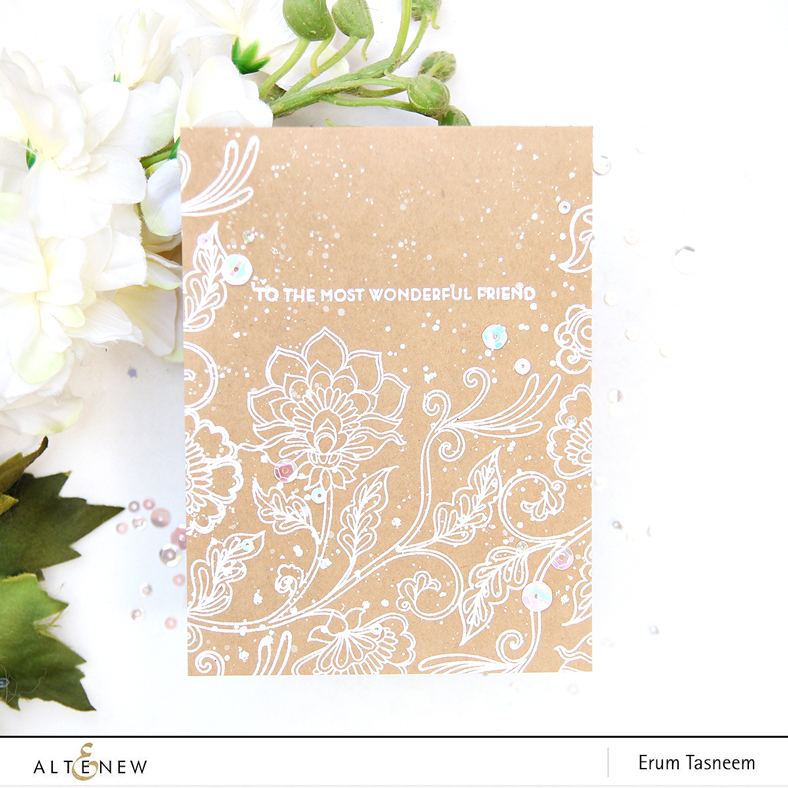 Your beautiful heart card is GORGEOUS, and I love how you layered the leaf frame with the gold glitter cardstock. whether complex or simple all your cards are absolutely gorgeous!! gorgeous! cards!! love the white on craft and the thank you card! sooo pretty!! All your projects are so awesome. Love the 2 colors of leaves with that border die cut. eeeek!!! THE MOST AMAZING CARDS!!! I absolutely ADORE the dual layer frame with two colors of cardstock. Beautiful! Love what you did with the leaf frame! Great idea! And the galaxy card is stunning. Love your cards, very pretty. Thanks for sharing all your wonderful cards. So pretty. I can usually pick a favorite among cards, but not in this case! Your cards are beautiful ! I specially love the starry and the thank you cards. I L.O.V.E. all of your cards - the colors pop and the craft card with white eobossing is a favorite of mine, too! I just love that big flower. Very pretty ideas. ALL These designs are absolutely gorgeous! I can't pick a favorite! 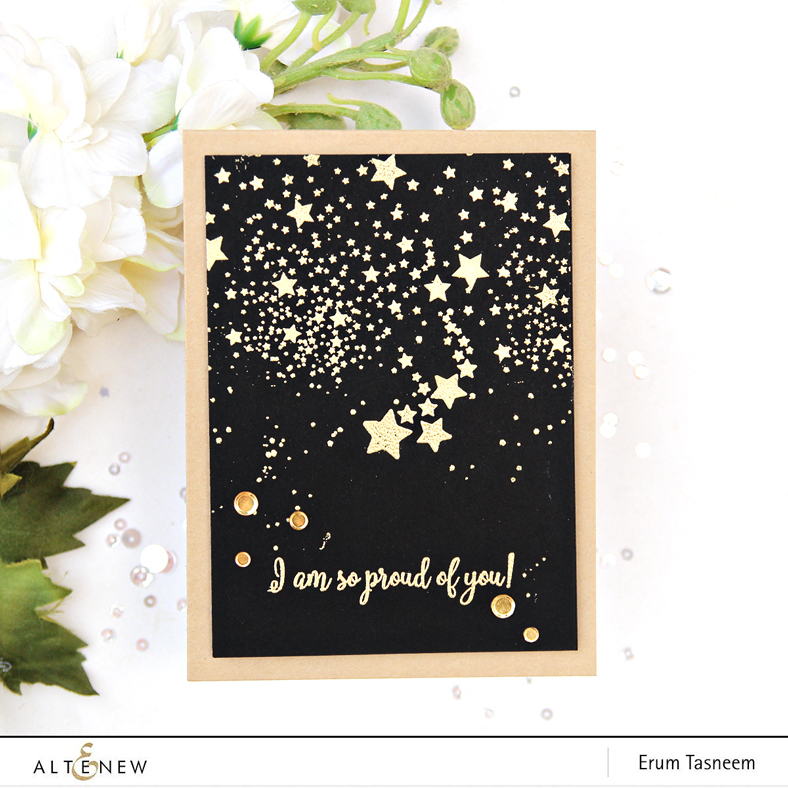 Love your use of gold in the latter two cards, and your use of water/paint splatters in the other cards! Pretty card especially the first one. These are all so beautiful Erum. The Leaf Frame die is so pretty and so far each time I have seen it used I just want it more...Beautiful work! another great release with amazing ideas. thanks as always for sharing. Beautiful cards, I love all of them! Especially the gold field of stars! Thanks for the inspiration! Amazing colors, cards, and new sets - love them all! Love the Prisma coloring, too! Your cards never fail to inspire, absolutely stunning work! The Thank you card is my FAVORITE!!!!!!!!!!!!!! Love your color choices for this new release, and the Beauriful Heart one is my absolute fave! Thanks for the inspiration! Beautiful cards as always! I love the needlework card... so classy and elegant! Drum, these cards are all so pretty and so warm! They look gorgeous! I love this release! Beautiful cards! All of these are beautiful and I love your use of the Kind Words set, one of my favorites from this release. Beautiful cards, Erum! 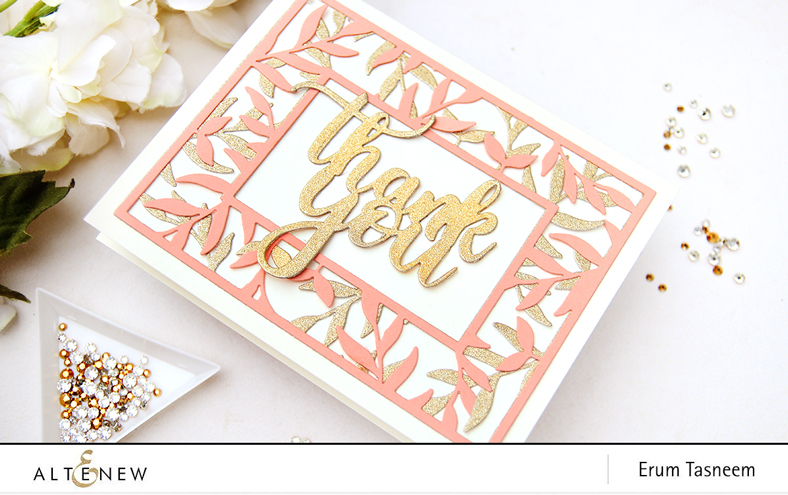 I especially love the look of the peach and gold card using the leaf frame die. And, the coloring on your first card is just stunning. Such beautiful cards, Erum! 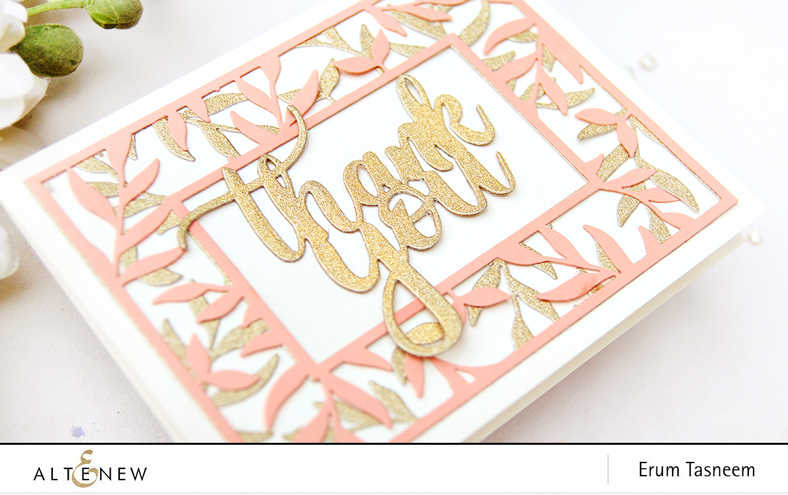 I especially love the peach and gold card using the leaf frame die. And, your coloring on the first card is just stunning. Gorgeous cards! Love the coloring on the rose, the beautiful white on Kraft with the Needlework Motif set (my fave), the black and gold starry Card is so elegant and the thank you with the leafy frame is so pretty. Your cards are so creative and fabulous. Thanks for your great ideas. These are beautiful! I love all the sweet details! Such great hop too! E.T., I think I like your star gazing card the best! It really is super neat! 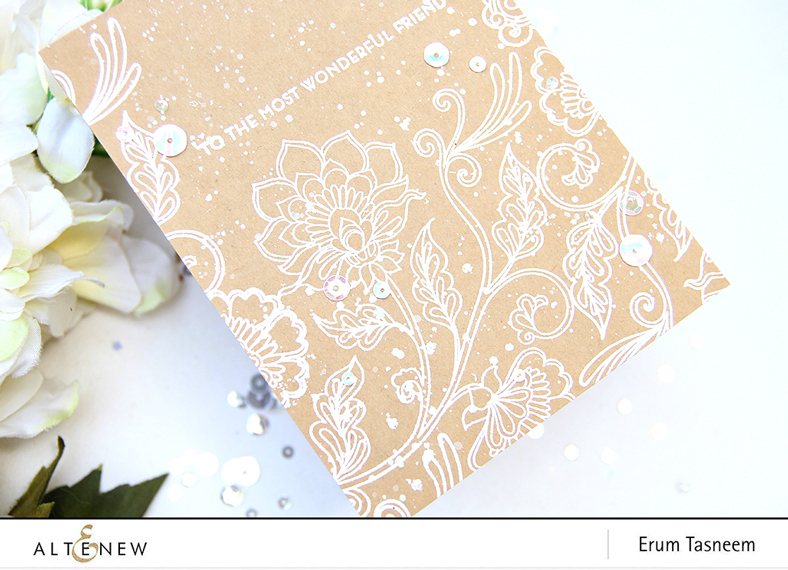 I also really liked the white embossing on the kraft cardstock too! That is a wonderful pattern and it really looks great as a background. All the cards are so beautiful!! Love all your cards! They are stunning, all different with beautiful colours! I can't decide which card I love more. They are all just beautiful. Beautiful cards! Your coloring on the first is amazing, but my favorite is the black and gold with the stars. So simple, but such a big impact! As always, BEAUTIFUL cards. Your coloring is incredible! I love the way you layered leaf frame going in two directions with the gold glitter cardstock underneath! What a great idea and amazing depth to your card as a result. Sigh! Swoon! Another awesome release with so many beautiful flowers to choose from! Right up my alley! Love the card inspiration too! Great product release! AWESOME projects, I especially love double layered leaf frame card! Great release and I love the gorgeous inspiration! My favourites are the last two cards. Amazing cards! Wow!! Elegant, vibrant and just plain beautiful. Such wonderful cards - especially drawn to the Needlework white on craft and, of course, black and gold stars! Awesome release! All your cards are STUNNING but I LOVE the black and gold one. FABULOUS design! Such beautiful projects today. It's hard to believe that you colored those red flowers with colored pencils! It's gorgeous! I also enjoy seeing your use of kraft - such a fun twist. And I'm especially in love with all the fun ways the designers are suing that leaf frame - it works for so many different styles of cards! Great blog post today - thanks for making such a fun stop on todays blog hop! Beautiful cards. My favorite from this wonderful release is the Beautiful Heart set, but the Leaf Frame die is running a close second, and I adore the unique way you used it. Such creativity and great ideas. so many amazing cards and I love the new products. all wonderful cards, Erum - but my absolute favorite is the thank you card in those soft colors! The Beautiful Heart card is lovely!!! It is so cheerful!! I love the other cards as well!! Beautiful cards! I love the soft look of the white embossing on the kraft cardstock. It's simple but so elegant looking! I also like how vibrant you got the colors on the Beautiful Heart stamp flower. Gorgeous coloring! All your cards are absolutely beautiful. Thank you for sharing them with us. I really love how your double die-cut frame came out! It's a stunner! Now I am even more convinced that it is a craft-room staple. Thank you. Beautiful cards. Love how you cut the leaf frame twice and flipped it Love the detail. All of these cards are stunning! This is the first time I've seen just white on kraft and I agree with you - I am loving it! Love the thank you card! These are gorgeous!!!! I love some of your color combos! The gold and pink was awesome! LOVE your cards! Can't pick a favorite. The pencil coloring on the first is gorgeous! The rest are just so simple yet so elegant. Gorgeous cards! I love the stars and the leaf frame cover! Thank you for the inspiration! Love the beautiful heart card and the white in kraft card. Not only are these gorgeous cards but really shows your fabulous talents!! The coloring on the first is stunning! Beautiful cards! Love the Beautiful Heart stamp set and that gorgeous Leaf Frame die! 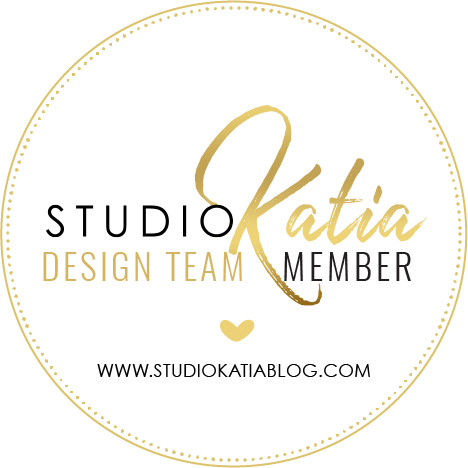 LOVE the new release and your CREATIVE designs! I'm especially inspired to see my favourite Needlework Motif set getting a beautiful workout and the delicate Leaf Frame die in action - WOW - it looks STUNNING overlaid and with the luscious pink against the golden glitter! luv that white in kraft!! Beautiful projects. I love the white stamping on the Kraft. Thanks for sharing. 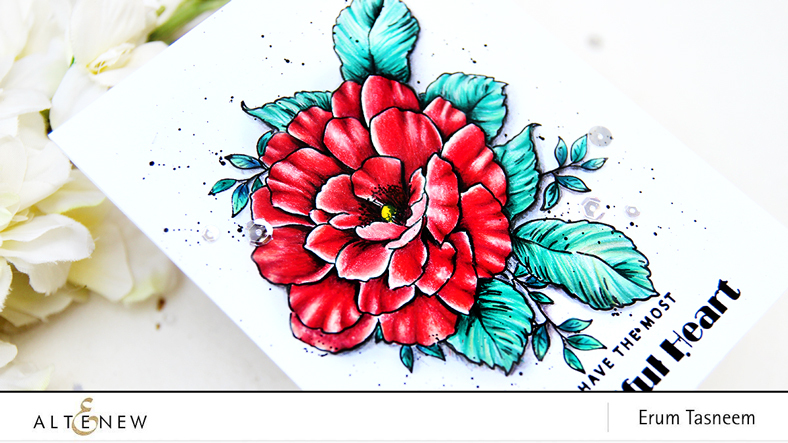 I LOVE the needlework motif card - it looks stunning embossed on kraft cardstock - I can't wait to try this! All your cards are so beautiful! Thank you for the inspiration! Amazing cards! I love the white on kraft!! Wow!! Absolutely Gorgeous cards! I love how you heat embossed the Needlework Motif Stamp Set onto kraft cardstock. Thanks for the inspiration. The Kind Words stamp set is so unique and fits so many occasions. I love your card and will CASE it. Amazing cards - especially love the beautiful large floral one and the gold stars on the black card. Thanks for sharing your creativity !